But you will not be able to un-see what you’re about to see. They caught your eye. It is undeniable. How did it happen? Well, life happened: getting a little bit too close to bushes, to the ever-wagging tail of a golden retriever, to a car wash (don’t even get us started on car washes…). Bottom line is: they’re everywhere! So what do you do now? Well, you let us help of course, that’s what. Several options are available here, depending on the depth of the scratches, your budget, and your expectations. Available in a few of our valets already is our hand-applied coat of polish. Yes, you could try your hand (pardon the pun) at polishing your car yourself: just like a pimple that pops, it is very satisfying to watch. But getting the right supplies can be costly, and rarely worth the investment to maintain one car. Should you choose to go down this avenue, the motto you want to go by is “Less is more”. No need to empty half the tub of polish in one application: the clear coat will be unable to absorb that much product. Go easy on the pad as well, you want to glide across the panel you are working on, not rub it in too hard. Focus on consistent patterns, like small circular motions, to avoid missing some areas or overworking others. It is reasonable to expect light swirls and surface imperfections to be smoothed out. 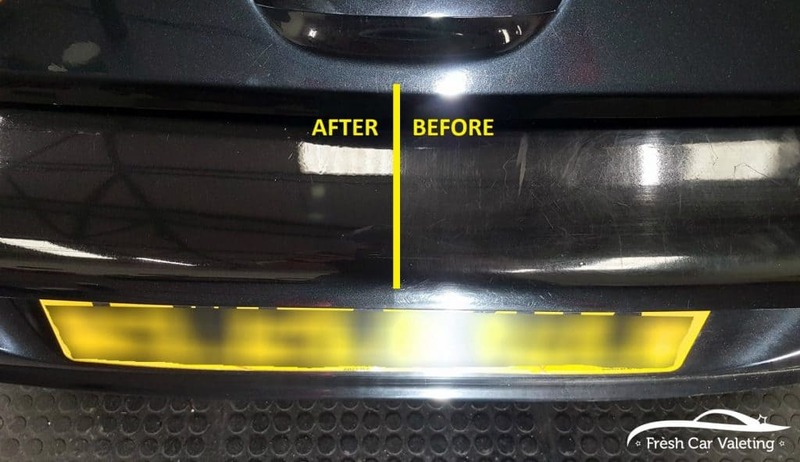 For cars that need a little bit more TLC, it is a good idea to consider machine polishing. This is not to be attempted without training, as taking away too much of the clear coat can end up causing more damage, including burning the paint. You do not want to have to respray your car – that would be a big costly mistake. Not to mention that polishing machines, pads, compound, coatings, can add up to hundreds of pounds. Rafal and Tomasz have attended an extensive course on machine polishing with Mirror Image, and will soon be able to offer a one stage machine polish service. This gets rid of up to 99% of swirl marks, and up to 40% of scratches. Taking up to a couple of days worth of work, machine polishing is an art. The first stage of polishing is done using a heavy compound for the most superficial layer of clear coat. The deeper we go, the lighter the compound will need to be, like during a three stage polish for example. There can be a countless number of stages to machine polishing – but the more stages there are, the more dangerous the polish becomes. Though dual action machines are more time-consuming to use, they are also safer for the paint as they combine two different motions, hence their name: the pad spins in the same circular motion that rotary machines use, but the handle is also ‘wiggly’ enough to allow for the heat caused by the friction of this repetitive movement on the paint to escape. Think of it as the Earth spinning on itself (the circular motion) and around the sun (the wiggle). That being said, heat is part of the polishing process. So there are scratches a dual action polisher will not be able to remove. Deeper or more extensive damage should be tackled by rotary machines. That is why practice and experience are key, and we recommend using trained professionals when a rotary machine polish is needed. 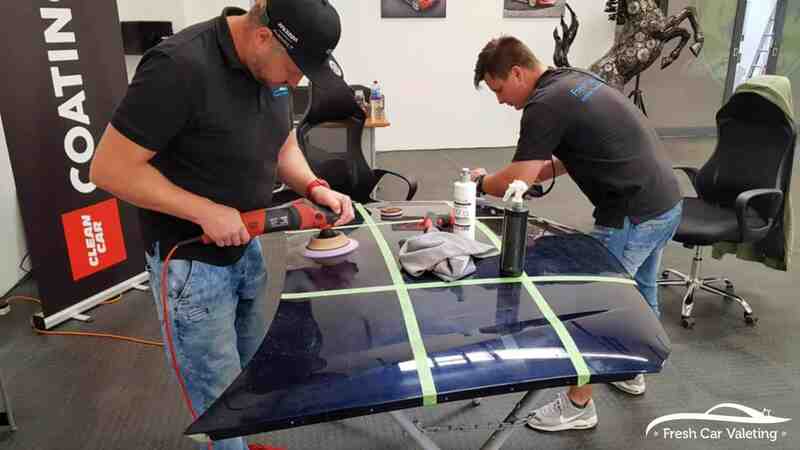 The final touches will be a coat of polish, of sealant, and why not a ceramic coating – to make sure all the hard work of machine polishing is not undone after a few hundred miles of driving.